The way the world embrace social media, it also compels business world to hook up social media for their business. In current age, businesses have started to perceive the importance of social media that can provide better online marketing option by saving huge cost. One of the best benefits of social media is that it provides an opportunity for business to understand their customers in a better way by considering their comments and reviews about offered product and service. At later, these comments and reviews will help business to update their product or service. This article has two facets, one is social media worldwide trend, and the second is how it is beneficial to business. Either you talk about social media trend among users or search engine; social media has influenced both of them. Let us have a look at social media usage and trend among people globally via a well-known study. We can see there are millions of users are active on different social platforms in different region of USA. Below is an image that shows us the impact of social media on common person. Millions of images and tweets are sharing daily on social media. Figures are in millions of active users during Q2 of 2013. Even search engine like Google considers social signals. Below is an image that shows relationship between social signals and Google. According to Searchmetrics study, there are 7 out of 10 ranking factors contribute to social media interaction. 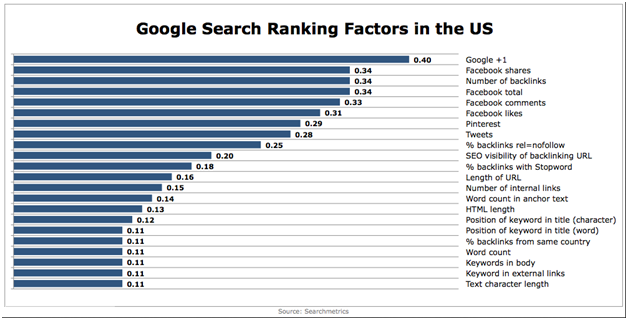 Out of 21 factors there are top five are social signals including Google+ 1, Facebook shares, Facebook comments, Pinterest. Why Business should go with Social Media? Now we enter in second facet that shows its importance for business. As we know, social media has influenced small and medium business in a great amount. Social media can help business in several ways out of which we will consider five major points that helps business in an effective way. Through social media, business could get huge traffic daily on your website and for that, you need to share offers, discounts, and product information frequently. Always respond to user comments that will satisfy them and create an excellent impression in their mind. If a customer is satisfied with your service, then he may influence others and at last, the business will get reputation with increased revenue. According to recent survey, there are 83% of customers interact with brand through Facebook, while 53% of customers prefer to connect with brand through Twitter. It means social media marketing contributes a large scale in building a brand value over the web. Even there are 50% online users consider online product recommendations and comments while 46% online users consider social media for any purchase. Social media is a two-way communication channel as you can send and receive feedback about any comment, product, or content that provides a direct way to interact with customers. You can easily know customer’s feedback and according to it, you can take steps about product and service to make it better. You can present yourself as a friend and followers on social media rather than as a business enterprise. Social media offers you a chance to build trust among customers. Saving marketing cost is a great idea for any business and it can be achieved via social media where a single message can be extended to target audience. There are 94% corporate are taking benefit from social media with systematic social media management for more business exposure. Business could get more traffic without spending much dollar for marketing campaign. It is true that it takes time to build reputation over the web but if you do systematic planning then social media can provide you great amount of traffic on daily base. To share your post, widgets are the best option that allowed others to catch your content and share it on different social media platforms. You can spread your branded content among your followers. On other hand, Badges is the best option to add an image to your blog that links back to your content when visitors click on it. Badges carry a embed code which is quite difficult to implement compare to simple share button. The main advantage of badges is to drive visitors to the relevant page rather to land them on general site. Finally, social media is everywhere and affected from teenagers to corporate world. 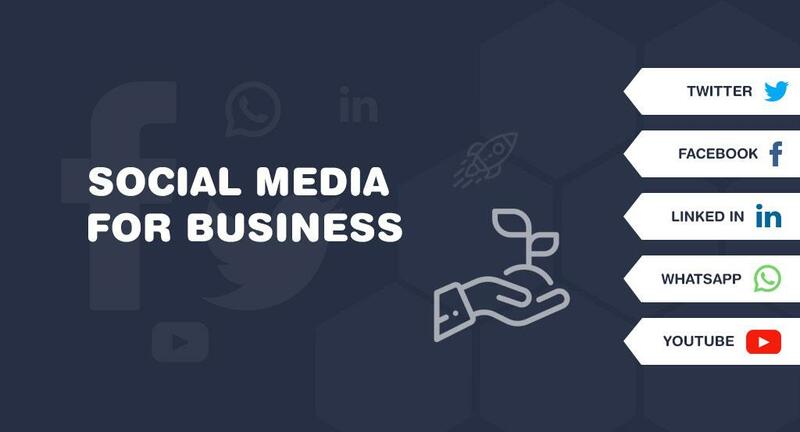 Though the use of social media differs from user to user but at last, we can come on conclusion that if you want to give hike in business prestige, revenue, and traffic then Social media is an inevitable element in current time.